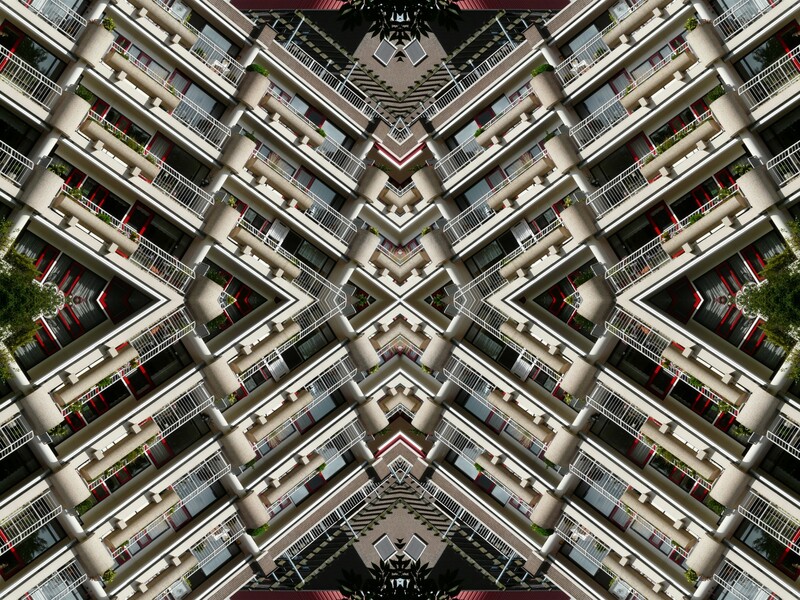 Techies and futurists are not the only ones who like to spin tales about what the future may hold for us. Telling stories about what a world with way more technology might be like is also a favorite occupation of many novelists. 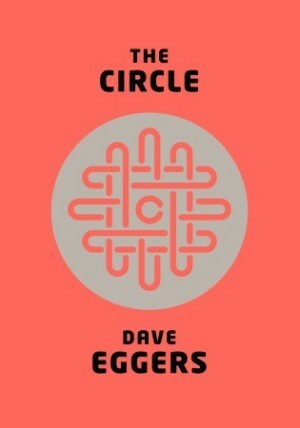 Two of my favorites are The Circle by Dave Eggers and Super Sad True Love Story by Gary Shteyngart. Both of these books raise the issue of transparency vs. privacy in an age of more intrusive technology. Some of their characters embrace the transparency, some are victimized by it. I don’t think either author welcomes it. Reading these stories recalls the futurist classic 1984 by George Orwell. Most of us have thought of Big Brother as a government entity. But it could in fact be whoever controls the technology. Or the oppression could come peer-to-peer. If George Orwell had written “1984” 60 years later, who would have been Big Brother? Would it still have been the government (think NSA)? How about the marketers who try to track and predict our behavior? Or would it be a corporate Big Brother? Dave Eggers is going with the latter. The Circle is the Silicon Valley monolith that consumes all the others. If you get creeped out by seeing the Google car with the camera on top cruising your neighborhood you’re likely to find this a tale of horror. It’s the story of Mae Holland, a young woman one or two jobs out of college, who scores her dream gig in a cube farm at the Circle. What she finds there is an exaggeration of a couple of trends that have become increasingly prevalent in corporate America in the last few years. One is the need to create data to evaluate job performance. Essentially this involves taking subjective information, translating it into numbers, and then pretending it’s objective. At the Circle, Mae gets a real time rating of 1 to 100 after every transaction, every email, every message. She is also stack ranked with the 11,000 other Circle employees on a participation index. That involves how active she is in off-hours company-sponsored events and activities and how much social messaging she does with her colleagues. That’s the other trend I referred to above, the movement toward obliterating the distinction between your professional and personal life. One man’s transparency and is another’s invasion of privacy. That is the crux of what this novel is about. The Circle represents a quest for total transparency. I stand with Eggers on the other side of the issue. There is one voice of dissent at the Circle, a shadowy character who gets it on with Mae in a bathroom stall (not transparent). He warns that the completion of the circle will mean the end of humanity. I think that is what Orwell would have said. This Super Sad True Love Story involves 39-year old Lenny Abramov, son of Russian Jewish immigrant parents, and Eunice Park, 20-something second generation Korean-American. It takes place in a rapidly deteriorating United States, with a repressive one-party government, kept afloat by Chinese financing. Central Park has been turned into a shanty town for LNWI’s (low net worth individuals). Shteyngart creates a world of devices and data. A world where you check your credit score on telephone poles. The devices of the time are called apparats and are worn around the neck. These devices churn out data that goes way beyond telling marketers what to sell you. The apparat guides your personal relationships as well. For example, Lenny’s apparat tells him that he does well with women who were abused. In a bar or at a party the device will point out those who fit that description. It will also rate everyone around on parameters like ‘fuckability,’ personality and income. Lenny’s forte is the latter. Eunice gets high grades only in the first of these. You can find out someone’s body fat or blood pressure with your apparat but intelligence is not a feature considered of much consequence. The transparency has also found its way to fashion. For young women, onion skin pants have replaced jeans. In courting Eunice, Lenny treats her to a $10 business class ride on the F train. Eunice is shocked to see Lenny actually read a book, not just scan the text for data. Lenny deodorizes his book shelf so as not to offend his lover with the smell of books. Shteyngart is easy to read. He has a direct style, no heavy descriptions of the environs or re-jiggering of the timelines. There are lots of “is this what we’re coming to?” moments. Followed for me by the thought that I hope I’m not around to see it. This entry was posted in Book reviews, Technology and tagged authors, books, Dave Eggers, future, Gary Shteyngart, novelists, privacy, Super Sad True Love Story, technology, The Circle, transparecny. Bookmark the permalink. Wow, sounds like I can be terrified in a 1984-esque way all over again! Thanks for the reviews. Just put these 2 books on my Amazon wish list. I loved 1984 and as you might guess, it’s a bit too real these days. I think the future, but who really knows, will be a combination of the three culprits you mention collaborating to control us. Aren’t they doing that now to an extent? Not sure we really know whether they are or not. I hope I’m not around to see this either! But I thank you for the reviews. These things, to me, are harbingers and I think they bear thinking about. LOL Makes me sound a bit paranoid, right? But I still don’t trust any cloud! LOL I already worry that there will be a day coming where that is the only place I can store data. No more secrets on my own hard drive…. As computers get smaller and smaller I’ m sure you’re right about single device info storage. There is a lot of talk nowadays about transparency – some of which I agree with and a lot I don’t and of course, invasion of privacy is another big issue. I loved 1984 and thought it was pretty far out but looking back it was pretty tame compared to now. Who controls us? Large business (just look at the poor customer service we have no choice but to accept), government for sure, and Social Media sites that can be used to ruin reputations, all scary stuff we didn’t have to worry about in 1984. It makes the 1984 scenario seem so straightforward. You did capture my interest, especially with the Shteyngart book. The characters sound like I might want to know a bit more about them. It is quite frightening when you think about how much the world has changed since 1984. The majority of us have accepted them. How “safe” is our information? I’m afraid that if I knew how unsafe our information really is, I’d probably go hide in the woods. Both these books seem to be really good reads. It amazes me that people don’t understand that there can no longer be a complete separation of private and public life. And if you post a bunch of drunk pictures online while in college, it can work against you years later when trying to get a job. Or if you say how much you hate your job online, it may get back to your boss resulting in you being fired. These stories you reviewed, while fiction, do seem to follow the direction the world is heading. Unfortunately there seems to be an unlimited number of people who self destruct online. Thank you for the reviews Tom. Very scary how much the world has changed since 1984. Look like it will be an interesting read. Personally read both Brave New World and 1984 at school. And quite a lot of the predictions have already taken place. Big brother is watching us everywhere which has both pros and cons. Easy to forget that there are in fact some pros. Over the weekend I watched the movie Ex Machina. This also has a theme of the marketer being Big Brother. It is one of those movies I think you would enjoy Ken as it leaves you asking way more questions than you (me) started out with. Thanks Tim, I’ll take a look. I must say this all leaves me feeling creeped out. I can’t believe just how much corporations and the government know about our activities, spending habits, and interests. There really is no such thing as privacy anymore. Haven’t read that one. Will look for it. Thanks. I’ll definitely check out Eggers book. We live under the illusion of privacy, but there really is no such thing anymore. I liked reading this post. I do have a bad vision of our future. I think we have given up our privacy to corporations. I can imagine that eventually we will be controlled and spied upon these corporations, who will also be political control too. So eventually, big brother will be government and business combined. thanks for sharing this with us. Absolutely adore Gary Shteyngart, recently read “Little Failure,” which was hilarious. He’s so lyrical, frank and off-the-wall, love his style. 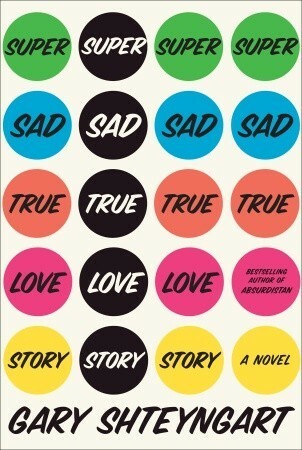 Will have to check out “Super Sad True Love Story,” even the title is typical Shteyngart. Ironically, I follow him on Twitter! Colleagues can be friends, but usually aren’t. I’d rather be at home than be compelled to attend “off-hours company-sponsored events and activities”: forced fraternization with non-friends just isn’t my idea of a good time. Wow, just reading your reviews gives me the creeps,Ken. The thought of obliterating the distinction between personal and professional life is eerie, Yet, it almost seems as if society is redefining what is a, “personal” life. We’ve created a new category of , “impersonal-personal”; people feeling connected to others over the internet. It’s scary.